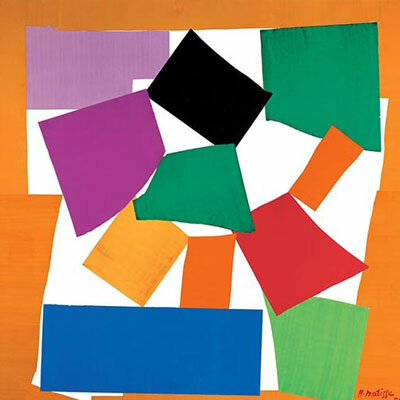 I had never considered myself a fan of Matisse, but on a flight home from Palm Springs in January, I watched a BBC documentary on Matisse's Cut-Outs show at Tate Britain and became fascinated. Luckily, I realized the museum show traveled and was on exhibit at the MOMA in NYC. It is a shame that, despite all of my work in the city, I sometimes forget to take full advantage of our local museums. I wanted to share this video, part of the documentary that intrigued me, to show how I learned about the chapel Matisse designed at the end of his life, during his Cut-Outs period. Matisse considered his chapel creation to be "the crowning achievement of his entire career," which further solidified my faith in the synergy of art and interior design. The chapel is devoid of the usual abundance of colors associated with Matisse; here, he became minimalist with cut-outs of glass, allowing light to paint the walls in a still and serene setting. The narrator in this video is a perfect ambassador for this storytelling, and I shared the tears in his eyes, watching and hoping one day to include this chapel in a future travelogue. It is brilliant to view a great artist's life work and to understand how a drive for greatness leads in new directions towards further artistic clarity. The fun thing about visiting a local museum is you can go with a friend. I met artist Charlie Robinson on a Friday night to take advantage MOMA's extended evening hours that stretched until 8 p.m., allowing me to attend after work. Often traveling great distances to spend much too brief of a time at museum shows, I had learned survival tricks, like avoiding museums on the day I land in a city or on an empty stomach in the morning, to avoid tiring too easily. Taking advantage of my time in NYC, I enlisted the historic King Cole Bar at the St. Regis Hotel to help set a fun tone for the evening, the perfect prelude to a relaxed night of viewing art.